Hello, My dear fellow Raspberry Pi fan! hope your Pi-iot-hacking is going well. I run so many things on my poor little raspberry pies and they often get heated up with all the burden I put on them. Since they are running headless, I don’t really know if it is on the verge of getting fried till it is too late. so after a couple of overheating instances, I started thinking, … How do I solve this issue? As a first step, I came up with this simple hack which is a short nodejs script to monitor raspberry pi CPU temperature remotely. 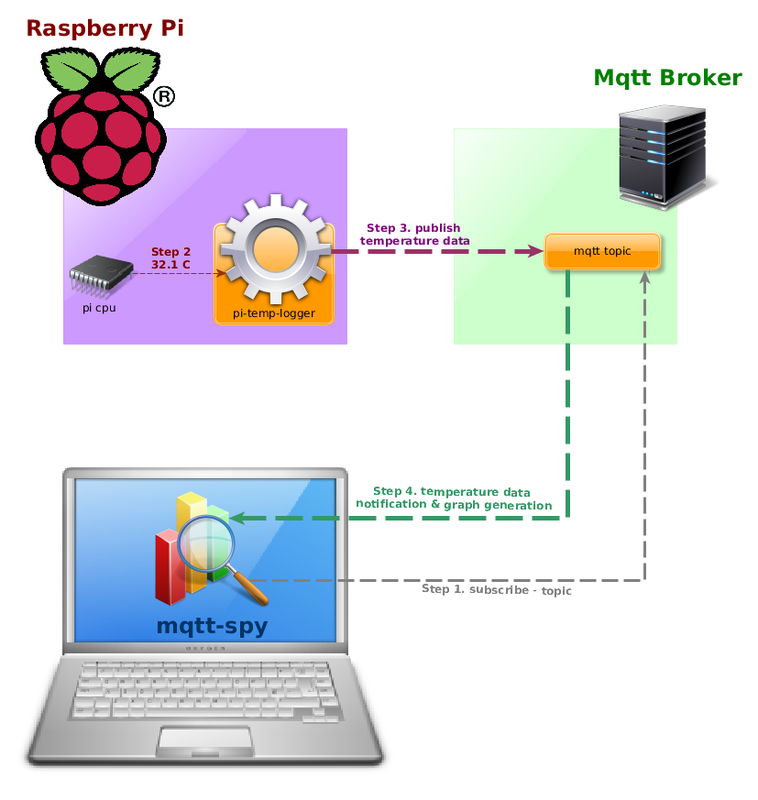 I use mqtt-spy to monitor and generate the graphs. feel free to get in touch with me if you are having any issues with using this by opening an issue. 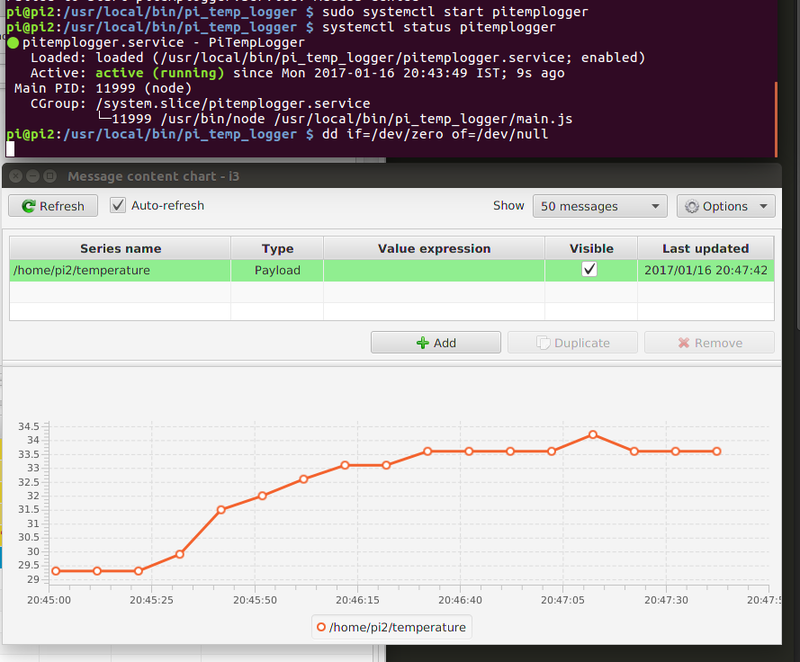 Here is a screenshot of my Pi temperature increasing because of the dd command I used to stress the CPU [ awesome plots you see here are the courtesy of mqtt-spy ]. For detailed instructions on how to install the project, you can head to the git repo. what do you think? any suggestions? feel free to use the comments section to let me know. thanks for stopping by. This entry was posted in iot by uday. Bookmark the permalink.